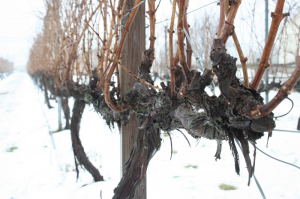 Accurate self-assessment of bud viability and fruitfulness is sound vineyard management when dealing with the effects of the unusually cold temperatures experienced this winter. Join the Outer Coastal Plain Vineyard Association (OCPVA) and Rutgers NJAES for a free mini-workshop to train winegrape growers on the details of accurate cold injury damage assessment. Bring your own hand lens or other magnifier and, if you wish, some pieces of grape cane to evaluate.